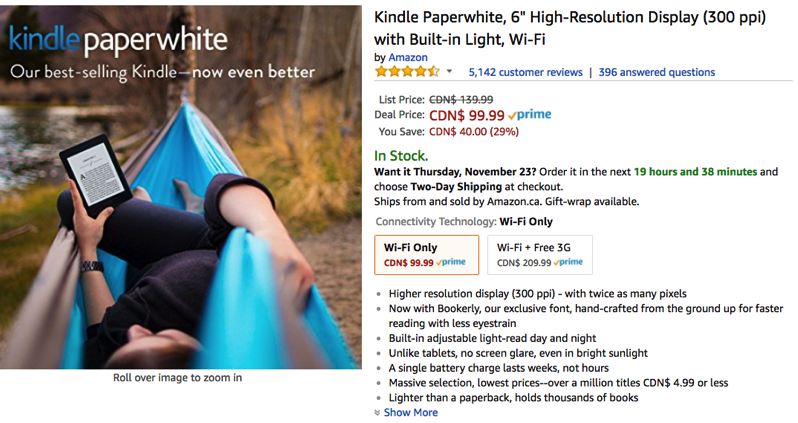 Amazon.ca has then Wi-Fi Kindle Paperwhite on sale right now as part of Black Friday Deals Week, taking 29% off the e-reader, saving you $40 off the regular price of $139.99. 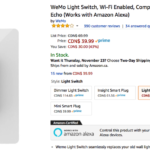 The price of $99.99 is the lowest price ever according to price tracker CamelCamelCamel. What makes the Kindle Paperwhite so popular is its 6-inch front-lit touchscreen display, which has 300 dpi, plus weeks of battery life in a form factor that is lighter than a paperback novel. If you’re thinking of getting the perfect gift for that bookworm in your life, this is it, and it’s here for Black Friday Deals Week. Click here to jump on the Kindle Paperwhite while it’s still on sale for $99.99.